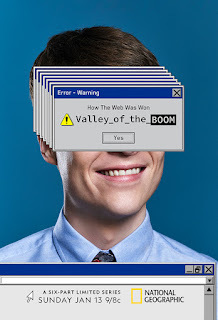 Home » Past Screenings » VALLEY OF THE BOOM Advance Screening Passes! VALLEY OF THE BOOM Advance Screening Passes! Do you want to see Valley of the Boom before anyone else? Learn how you can see an Advance Screening to see it before anyone else. 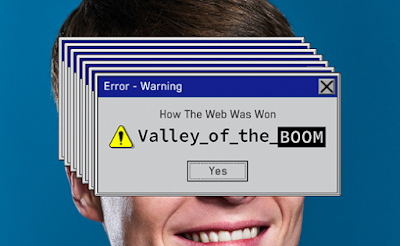 Valley of the Boom is National Geographic’s new six-part limited series that explores the dot-com era during Silicon Valley’s unprecedented tech boom of the 1990s. Featuring a hybrid of scripted storytelling and documentary interviews, the series stars Bradley Whitford, Steve Zahn and Lamorne Morris alongside interviews with the real people who were a part of the turbulent ride of three different companies that were trying to change the world using the new technology of the internet. Before Google, Netscape pioneered the first commercial web browser and launched the “browser wars” with Microsoft. Before Facebook, theglobe.com was a rapidly expanding social networking site built by dreamers on a college campus. And before YouTube, a con artist on the run from the FBI reinvented himself in Silicon Valley to start a streaming video company called Pixelon, resulting in an entrepreneurial rise and fall almost too insane to be believed. This is the true story of how the web was won. VALLEY OF THE BOOM premieres on National Geographic January 13, 2019.